Of course, this was only the first impression. Here's a glance of the people that you might know from my blog. As you can see I have blogged about most of them. Posted by John W. Furst in Marketing, Miscellaneous on Sunday, January 25, 2009 has got 7 Comments. Masscontrol and Co - Massive Launches Compared! If you are following “the” Internet Marketing Masterminds you certainly have been overwhelmed by the large amount of free quality information that was given away prior to following product launches lately. Homestudy course, still available; it's not limited in quantities sold as far as I know. → Continue reading: Masscontrol and Co - Massive Launches Compared! Posted by John W. Furst in Coaching, Marketing on Sunday, February 3, 2008 has got 2 Comments. Scared That Blogrush Leads Visitors Away? Blogrush is not so hot! You are getting thousands of additional visitors a week. You are loosing visitors, because they find the headlines as advertised on Blogrush more compelling than yours. Looks like nothing to gain, you get more visitors, but you also might loose visitors. Well, that's not exactly what happens. You could be afraid of loosing visitors with any form of monetization. Be it AdSense (that I just wrote about in the last post), banner ads, affiliate links and banners, …, etc. That's the best and only medicine that should be prescribed to keep and extend your readership. Every once in a while I click on a title (in the Blogrush widget) myself that seems to be kind of interesting, but most often I get disappointed. The review based listings of Digg, Stumble, Propeller, and Co. are much more useful. That's why I don't blame my readers for not clicking themselves away from my Blog via Blogrush. To answer the above question: Blogrush does not lead my readers away. So it does not hurt me, as well as I don't really benefit from it. I actually should start looking for a better use of that screen real-estate. Some major A-Blogs still show Blogrush, probably because they got a huge referral network that works better for them. It was a hype, it's days are counted and if you look at John Reese's Blog. Not much going on there. Didn't he promise a promotion network for “hot topics”? I think he did. The classic theorem of physics seems to withstand the test of time in the Internet Age, too. Displaying someone's widget — the Blogrush widget — doesn't solve your traffic problems. There must be more action going on. Posted by John W. Furst in Marketing, Miscellaneous, Web Site Development on Wednesday, January 16, 2008 has got 5 Comments. Using Social Media can be a disappointing experience. Especially with Digg.com. The Digg community has earned itself the reputation of being very strict with their submission guidelines. If they sense that you might spamming, they bury your post quicker than you would know and your whole account could be seized (deactivated) overnight. Just do a search on Google, Yahoo, or MSN for banned by digg to see the magnitude of that issue. Posted by John W. Furst in Marketing, Miscellaneous, Web Site Development on Tuesday, January 8, 2008 has got 6 Comments. Ranking #1 on Google - Are The Profits Rolling In? 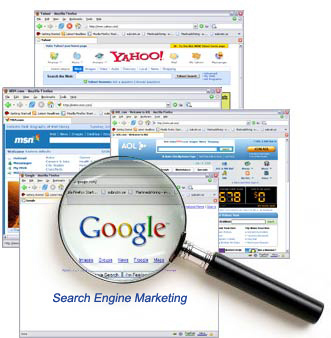 Are you heading for #1 rankings on Google, MSN, and Yahoo? You should, because it definitely helps your business. However, it is only one part of the equation for a successful Internet presence. In the following I'll tell you how I got it, but probably more important I'll tell you about the other factors needed as well. A #1 ranking on any search engine is meaningless unless those other factors are in place, too. You might have “heard” the recent stories about quick rankings from online videos. I thought I have to test it and it was a happy coincidence that Rich Schefren's 66 second video contest came along at the same time. What a great opportunity to get started. At first look at the search results page “Number 1 on Google” for the broad matching phrase attention ebiz (Enlarge the thumbnail in the upper left corner of this post). I made this screen shot yesterday. Today, I am on position #2. You also will notice the 2nd, indented search result. That mainly comes from having a good internal linking strategy on this blog and the fact that the key word “attention” appears on every singe page of this blog. That's how I have setup the promotion for the Attention Age Doctrine. I'll talk more about this later. → Continue reading: Ranking #1 on Google - Are The Profits Rolling In?